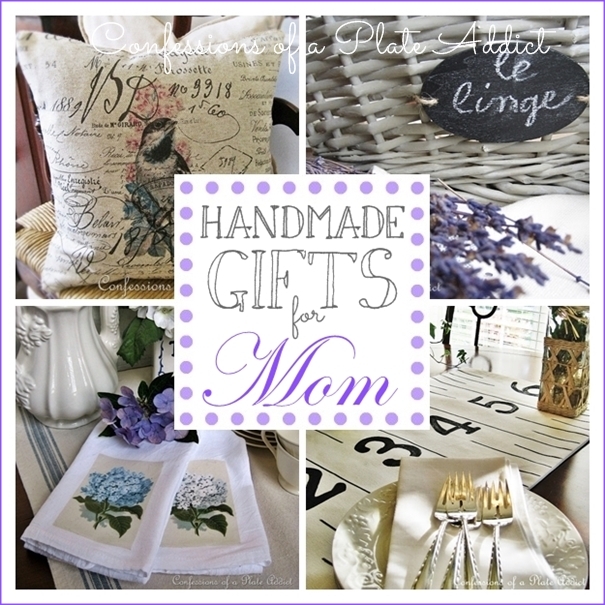 And with Mother’s Day only a few weeks away, it’s time to get your craft on if you plan to give a handmade gift to the special Mom in your life! 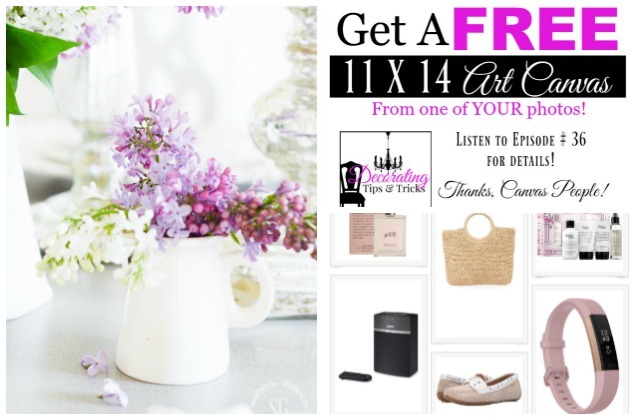 To help you out, I am sharing my EASY HANDMADE GIFT IDEAS FOR MOTHER’S DAY. 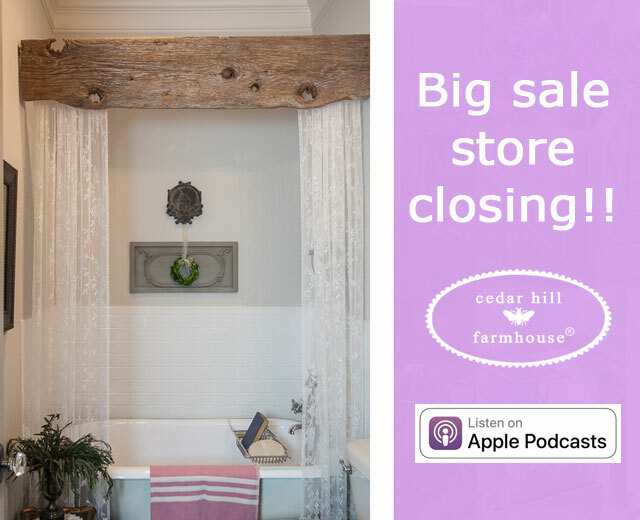 You’ll find a little bit of everything from tea towels and unusual table runners to hand-painted baskets and flower pots. And just in case you’re looking for even more ideas, check out MORE HANDMADE GIFT IDEAS FOR MOTHER’S DAY. And, as always, my projects are fun and easy to make! Here’s what your hosts are sharing this week! Here are just a few of the things that caught my eye last week! 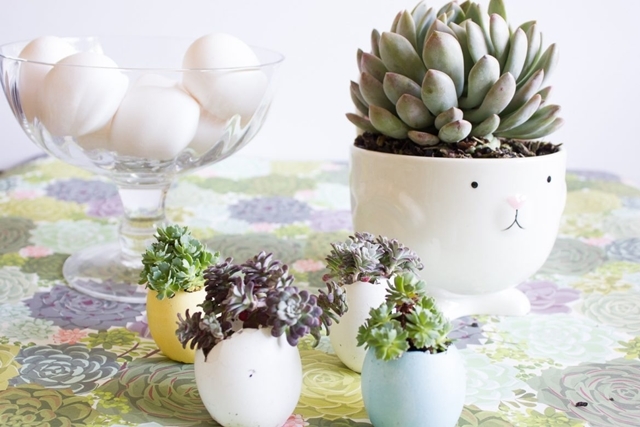 Aren’t these EGG SHELL SUCCULENTS as cute as can be? They’re from Maria at Tinselbox. Check out how pretty they look lined up on her window sill! 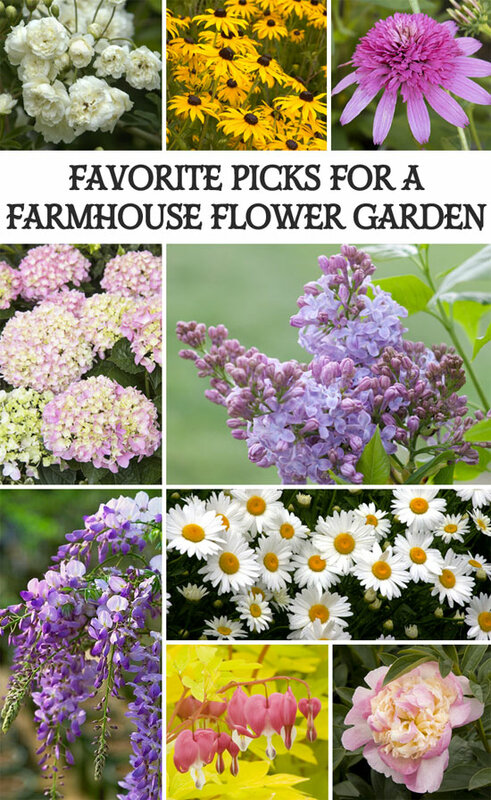 Meg from Hello Farmhouse shared her FAVORITE PICKS FOR A FARMHOUSE FLOWER GARDEN. Lovely! I see some of my favorites on her list, too! 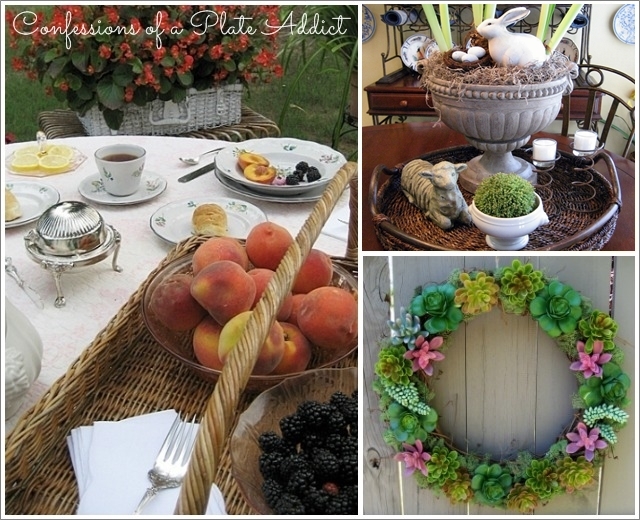 Lisa from Feathering My Empty Nest takes us on a SPRING TOUR OF HER HOME. Beautiful! 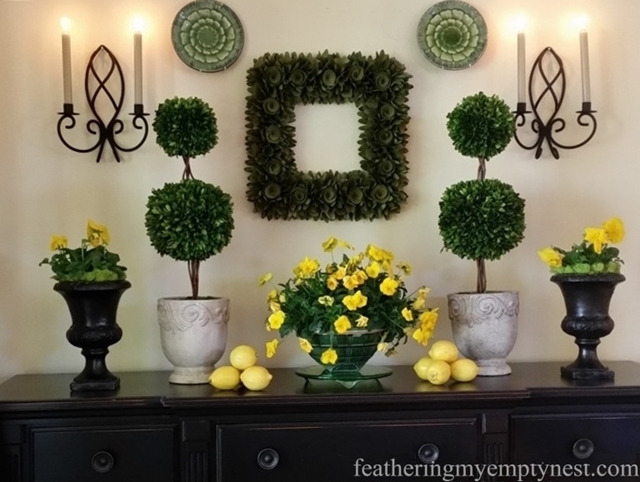 Love the pops of yellow she has sprinkled about! 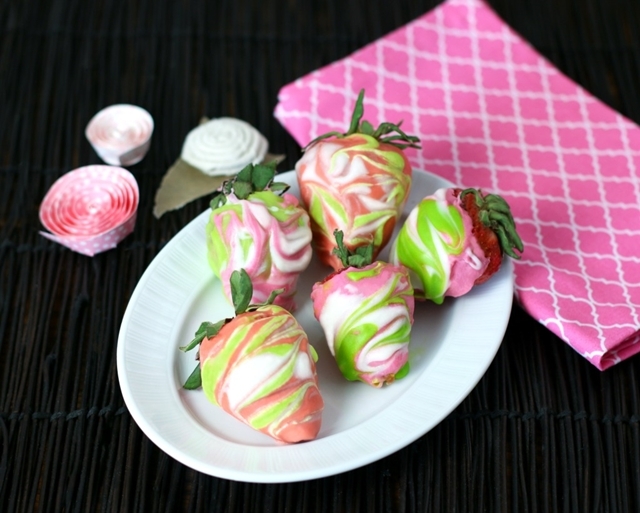 Susan at Culinary Envy shared her MARBLED CHOCOLATE-COVERED STRAWBERRIES…so pretty and easy to make, too! 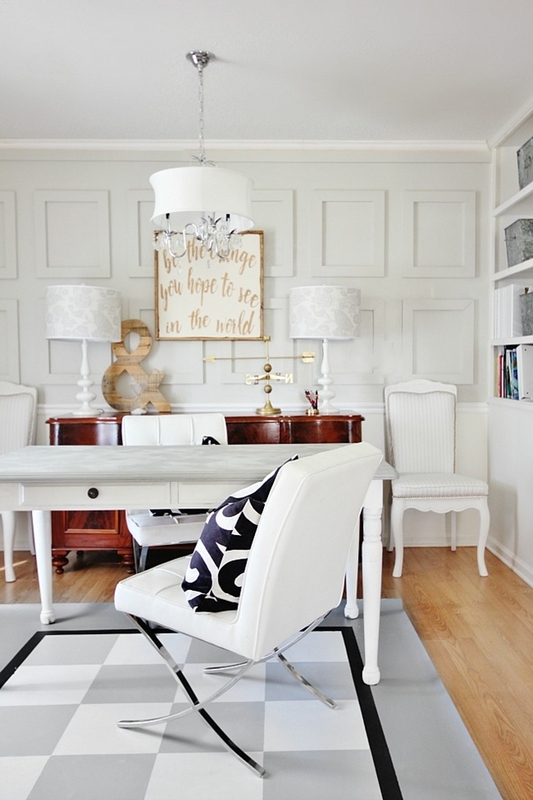 Karianne at Thistlewood Farms showed us HOW TO PAINT A FLOOR CLOTH FOR UNDER $25. Brilliant! And now…I can’t wait to see what you have to share, so let’s get started! 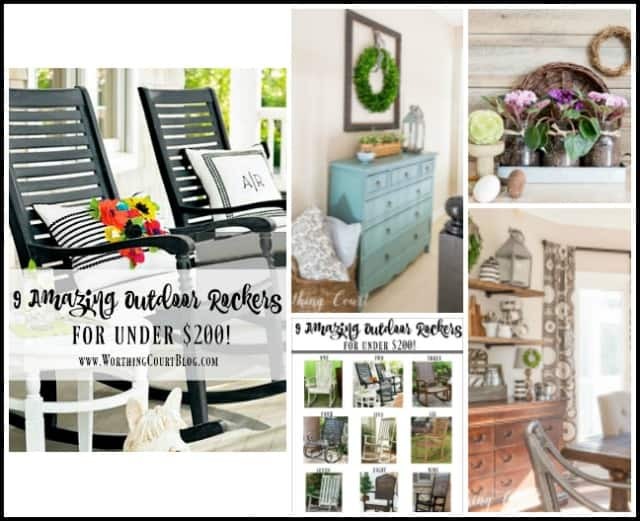 Love these ideas, Suzy! Thank you for the feature! Thanks for the party, Suzy and have a great week! Loved some of the ideas I’ve gotten from the link up!